The Marlboro Township Police Bicycle Unit was started in 1998 to increase community relations with the public. Experience has shown that bicycle officers are an important tool in improving police-community relations because the officers are more accessible to citizens. Bicycle officers can also provide a pro-active, highly visible police service along with giving officers a “stealth” advantage when desired. Bicycles allow officers access to areas not normally patrolled by police vehicles. The unit currently has 5 Cannondale and 3 Raleigh police mountain bikes. Some of which were purchased and some which were donated to our department. Our patrol officers utilize the bikes when staffing levels allow and if a special need arises. You will definatly see bike officers at most of Marlboro's outdoor parades, concerts and special events. The unit currently has 15 officers trained and certified by the law enforcement bicyle association and have gone through a rigorous training course. Please feel free to ask any of these officers any questions you might have about the bicycle unit or any community concerns. If you have a community event that you would like to see our officers at feel free to contact Sgt. 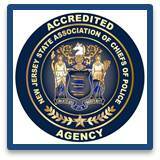 John Loyer at 732-536-0100 x1057 or e-mail Sgt. John Loyer.